This year we are celebrating International Yoga Day on 17th June 2018, Sunday. Venue: Arham Mitra Mandal, WOC Service Road, Bangalore. Time: 6 a.m. — 8 a.m.
We will practice Surya Namaskara, different breathing patterns and exercises which is helpful for each & every individual. International Yoga Day is observed every year on June 21 since its inception in the year 2015. Yoga itself is a very old practice that is followed in India since time immemorial. Its origin can be traced back to Lord Shiva, who is also called the Adi Yogi (first guru) and is known as the teacher to all the yogis in the world. However, today the need for a nation that practices yoga on a day-to-day basis was felt by the Prime Minister of India, Narendra Modi, himself. 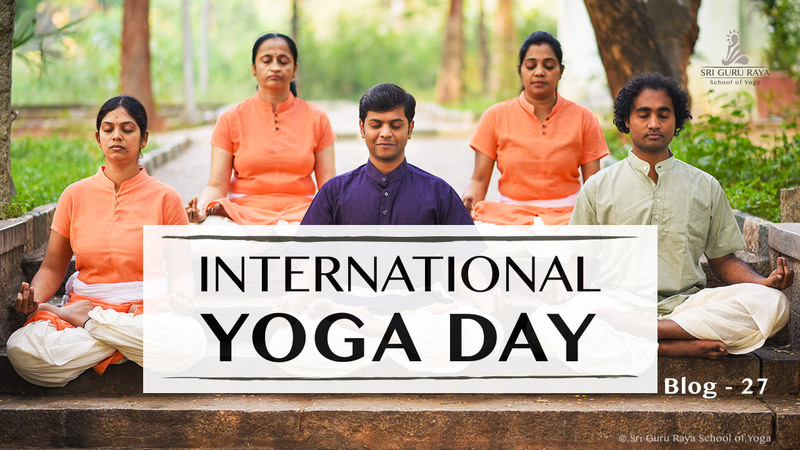 The idea to observe June 21 as Yoga Day was first proposed by the Prime Minister during his speech at the United Nations General Assembly in September 2014. Modi proposed this date as it is the longest day in a year in northern hemisphere (while being shortest in the southern hemisphere). The day is known as summer solstice and has special significance from the perspective of yoga. Summer solstice is known to mark a transition to Dakshinaya. This transition is considered supportive to yoga practitioners as Dakshinayana is considered as a period of natural support to spiritual practices. Post the summer solstice, the first full moon is known as Guru Poornima. Besides this, it is also believed that Lord Shiva started imparting the knowledge of yoga to the rest of humanity on this very day. It was the day when he became the Adi Guru (first guru) of yoga. To make people aware of the natural benefits of Yoga. It allows people to connect with nature. To draw the attention of people towards the benefits of Yoga. To reduce the rate of health challenging diseases all over the world. To bring communities much closer together to spend a day devoted to good health way from their busy schedules.